Big weekend for Crestwood as Bowies Hero wins the $400,000 G1-Frank E. Kilroe Mile Stakes at Santa Anita! He was bred, foaled, raised and sold by Crestwood Farm and is from the immediate family of our exciting young Stallion, FIRING LINE, as well as G1W Sharp Azteca. Bowies Hero, who was just coming off a victory in the G2-Mathis Brothers Mile Stakes, ran a close second to Om in the G3-Thunder Road Stakes at Santa Anita on Saturday. They finished the mile on turf in 1:33.54. Bowies Hero was bred, foaled, raised and sold by Crestwood Farm. Crestwood Bloodstock yearling purchase, Mihrab (Tiznow), had to go widest of all but closed well to get up for third only beaten two lengths in the $150,000 Suncoast Stakes at Tampa on Saturday. The three year old filly owned by RMJ Stables, and trained by Graham Motion was making just her fourth career start. BOWIES HERO, WINS THE G2 MATHIS BROTHERS MILE! Bowies Hero, won the $200,000 G2 Mathis Brothers Mile Stakes at Santa Anita on Tuesday. He finished the mile on turf in 1:33.46 to pick up his first Graded score. Bowies Hero now has a record of 11-5-0-2 and earnings of $381,325. 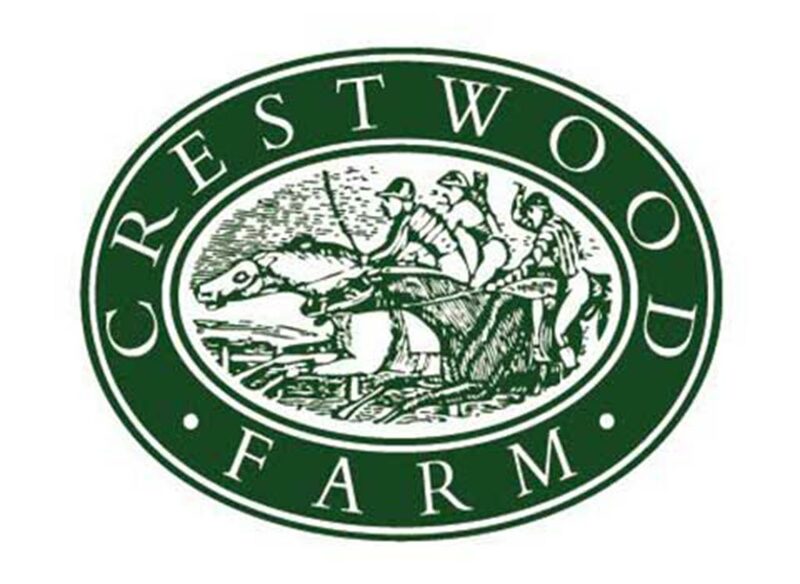 He was bred, foaled, raised and sold by Crestwood Farm. Bowies Hero ran a good third in the $200,000 Grade 2 Twilight Derby at Santa Anita on Saturday. The three year old Black-type winning colt by Artie Schiller now has a record of 9-4-0-2 and earnings of $255,325. Bowies Hero was bred, foaled, raised, and sold by Crestwood Farm. 3RD TDN RISING STAR FROM CRESTWOOD IN 6 MONTHS! Jazzy Times, a three year old colt by Discreetly Mine out of Jazzy Melissa became Crestwood’s newest TDN Rising Star on Saturday with a big Maiden Special Weight win on Debut during the Derby undercard. Jazzy Times was Foaled, Raised and Sold by Crestwood Farm. Congratulations to all of his connections!